Reptiles are tetrapod animals in the class Reptilia, comprising today's turtles, crocodilians, snakes, amphisbaenians, lizards, tuatara, and their extinct relatives. 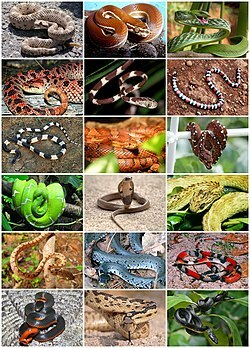 The study of these traditional reptile orders, historically combined with that of modern amphibians, is called herpetology. 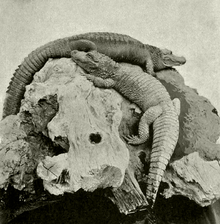 Because some reptiles are more closely related to birds than they are to other reptiles (e.g., crocodiles are more closely related to birds than they are to lizards), the traditional groups of "reptiles" listed above do not together constitute a monophyletic grouping or clade (consisting of all descendants of a common ancestor). For this reason, many modern scientists prefer to consider the birds part of Reptilia as well, thereby making Reptilia a monophyletic class, including all living Diapsids. 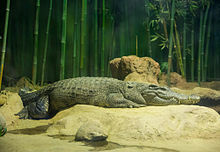 The gharial (Gavialis gangeticus), also known as the gavial, and fish-eating crocodile is a crocodilian in the family Gavialidae, and is native to the northern part of the Indian subcontinent. The global wild gharial population is estimated at fewer than 235 individuals, which are threatened by loss of riverine habitat, depletion of fish resources, and entanglement in fishing nets. As the population has declined drastically since the 1930s, the gharial is listed as Critically Endangered on the IUCN Red List. The plumed basilisk (Basiliscus plumifrons) is a species of lizard native to Latin America. 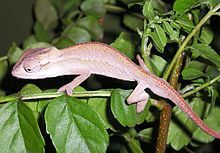 They are omnivorous and will eat insects, small mammals (such as rodents), smaller species of lizards, fruits and flowers. An Eastern long-necked turtle (Chelodina longicollis) covered in algae, in Victoria, Australia. Green sea turtle (Chelonia mydas), Hawaiian Islands. Ninety percent of the Hawaiian green turtle population, known locally as honu, breed and nest at French Frigate Shoals, from April to November. Males apparently make the journey every year, while females make it at two to four year intervals. They are the subject of eco-tourism and has become something of a state mascot. A baby marginated tortoise hatchling emerges from its shell. Cape skink - Trachylepis capensis. Close-up on purple Aster flowers. Asian vine snake Ahaetulla prasina. 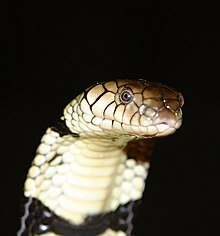 This snake has a wide distribution in Asia. It feeds on small reptiles and amphibians, particularly lizards and tree frogs. 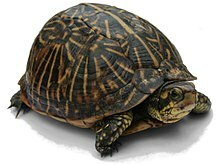 Adults may attain 1.8 m (6 feet) in total length, with a tail 0.6 m (2 feet) long. 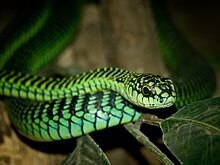 Its appearance is very much like those of South American vine snakes. 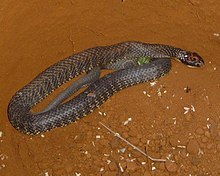 It is a rear-fanged species and is mildly venomous but is not considered a threat to humans. A green sea turtle swimming above a coral reef. 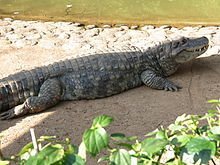 The Nile crocodile (Crocodylus niloticus) is an African crocodile, the largest freshwater predator in Africa, and may be considered the second-largest extant reptile and crocodilian in the world, after the saltwater crocodile (Crocodylus porosus). The Nile crocodile is quite widespread throughout sub-Saharan Africa, occurring mostly in the central, eastern, and southern regions of the continent, and lives in different types of aquatic environments such as lakes, rivers, and marshlands. Although capable of living in saline environments, this species is rarely found in saltwater, but occasionally inhabits deltas and brackish lakes. The range of this species once stretched northward throughout the Nile, as far north as the Nile delta. On average, the adult male Nile crocodile is between 3.5 and 5 m (11.5 and 16.4 ft) in length and weighs 225 to 750 kg (500 to 1,650 lb). However, specimens exceeding 6.1 m (20 ft) in length and weighing up to 1,090 kg (2,400 lb) have been recorded. Sexual dimorphism is prevalent, and females are usually about 30% smaller than males. They have thick, scaly, heavily armored skin. It once inhabited all the major river systems of the Indian subcontinent, from the Indus River in the west to the Irrawaddy River in the east. Its distribution is now limited to only 2% of its historical range. It inhabits foremost flowing rivers with high sand banks that it uses for basking and building nests. Adults mate in the cold season. The young hatch before the onset of the monsoon. The Chinese alligator (Alligator sinensis, simplified Chinese: 扬子鳄; traditional Chinese: 揚子鱷; pinyin: yángzǐ'è), also known as the Yangtze alligator, China alligator, or historically the muddy dragon, is a critically endangered crocodilian endemic to China. 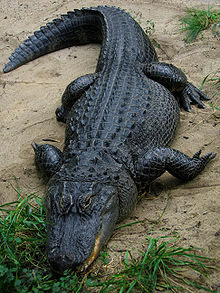 It and the American alligator are the only living species in the genus Alligator of the family Alligatoridae. Dark gray or black in color with a fully armored body, the Chinese alligator grows to 1.5–2.1 metres (5–7 ft) in length and weighs 36–45 kilograms (80–100 lb) as an adult. It brumates in burrows in winter and is nocturnal in summer. 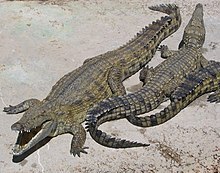 Mating occurs in early summer, with females most commonly producing 20–30 eggs, which are smaller than those of any other crocodilian. The species is an opportunistic feeder, primarily eating fish and invertebrates. A vocal species, adults bellow during the mating season and young vocalize to communicate with their parents and other juveniles. 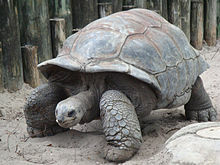 Captive specimens have reached age 70, and wild specimens can live to over 50. The freshwater crocodile (Crocodylus johnstoni or Crocodylus johnsoni; see below), also known as the Australian freshwater crocodile, Johnstone's crocodile or colloquially as freshie, is a species of crocodile endemic to the northern regions of Australia. The Cuban crocodile (Crocodylus rhombifer) is a small species of crocodile found only in Cuba. Typical length is 2.1–2.3 m (6.9–7.5 ft) and typical weight 70–80 kg (150–180 lb). Large males can reach as much as 3.5 m (11 ft) in length and weigh more than 215 kg (474 lb). Despite its modest size, it is a highly aggressive animal, and potentially dangerous to humans. 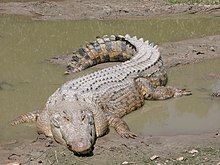 The American crocodile (Crocodylus acutus) is a species of crocodilian found in the Neotropics. It is the most widespread of the four extant species of crocodiles from the Americas, with populations present from South Florida and the coasts of Mexico to as far south as Peru and Venezuela. The mugger crocodile (Crocodylus palustris), also called marsh crocodile, broad-snouted crocodile and mugger is a crocodilian native to freshwater habitats from southern Iran and Pakistan to the Indian subcontinent and Sri Lanka. It is extinct in Bhutan and Myanmar and has been listed as Vulnerable on the IUCN Red List since 1982. Males grow to a length of up to 6 m (20 ft), rarely exceeding 6.1 m (20 ft) or a weight of 1,000–1,075 kg (2,205–2,370 lb). Females are much smaller and rarely surpass 3 m (10 ft). The black caiman (Melanosuchus niger) is a species of large crocodilian and, along with the American alligator, is one of the biggest extant members of the family Alligatoridae and order Crocodilia. 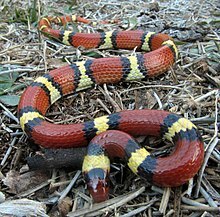 It is a carnivorous reptile that lives along slow-moving rivers, lakes, seasonally flooded savannas of the Amazon basin, and in other freshwater habitats of South America. It is a quite large species, growing to at least 5 m (16 ft) and possibly up to 6 m (20 ft) in length, which makes it the second largest reptile in the Neotropical ecozone, next to the critically endangered Orinoco crocodile. As its common and scientific names imply, the black caiman has a dark coloration, as an adult. In some individuals, the dark coloration can appear almost black. It has grey to brown banding on the lower jaw. Juveniles have a more vibrant coloration compared to adults with prominent white to pale yellow banding on the flanks that remains present well into adulthood, at least more when compared to other species. The morphology is quite different from other caimans but the bony ridge that occurs in other caimans is present. The head is large and heavy, an advantage in catching larger prey. Cuvier's dwarf caiman (Paleosuchus palpebrosus) is a small crocodilian in the alligator family from northern and central South America. It is found in Bolivia, Brazil, Colombia, Ecuador, French Guiana, Guyana, Paraguay, Peru, Suriname, and Venezuela. It lives in riverine forests, flooded forests near lakes, and near fast-flowing rivers and streams. 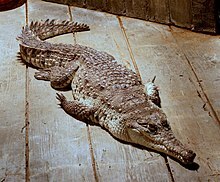 It can traverse dry land to reach temporary pools and tolerates colder water than other species of caimans. 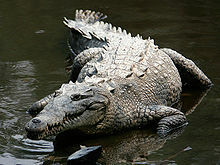 Other common names for this species include the musky caiman, the dwarf caiman, Cuvier's caiman, and the smooth-fronted caiman (the latter name is also used for P. trigonatus). It is sometimes kept in captivity as a pet and may be referred to as the wedge-head caiman by the pet trade. 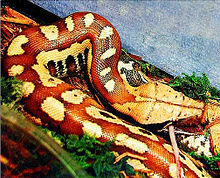 Do you have a question about Reptiles that you can't find the answer to?